The Hook Cleaning Services office is actually based in Basingstoke, which means we’re always close by if you have a cleaning emergency. Spilt some red wine? Have your kids stained the carpet? Or maybe you have an office or hotel room just covered in coffee stains? 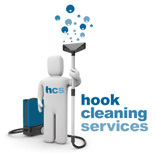 No matter what the job, Hook Cleaning Services is always here to help. HCC’s director actually grew up in the towns surrounding Basingstoke, so we know more than anyone how much pride you take in your homes. That’s why Tim Colenutt launched the business in the first place; he wanted to provide a quality, cost-effective ways for people he knew to get their homes back to their very best. Now the company works even further afield too – having impressed locals, word quickly spread of the quality services on offer, but there’s nothing quite like working at home! We’ve been providing premium carpet cleaning services in Basingstoke since 2007, constantly training ever since to expand on our portfolio. Hook Cleaning Services now offers Basingstoke upholstery cleaning, rug cleaning and tile and grout cleaning too, as well as a multitude of specialist services including individual rug, natural stone and grout care. We know that you take great pride in your home which is why we use premium skills, knowledge and tools to get the job done. Get in touch today to find out how your friendly local cleaners can help you. As a Basingstoke business ourselves, we always appreciate the time and care it takes to maintain that professional reputation. Part of that, of course, comes down to the appearance of your commercial space, so we’ve built up a vast portfolio of services to help. Check out our commercial cleaning services section to see the services on offer, including commercial carpet and upholstery cleaning, rug cleaning and of course, stubborn tile and grout care. Whether your office, hotel or exhibition space needs help, no business is too big or small to make the most of our talents. Do you have a domestic or commercial space that needs care in Basingstoke? Let us know! We’ve been working in Basingstoke for years now, and we’d love to add you to our list of happy customers!